Building on a large body of research showing procedural efficacy, new study shows Buzzy helps adults with flu shots - especially anxious adults. ATLANTA, GEORGIA, UNITED STATES, November 27, 2018 /EINPresswire.com/ -- Needle fear contributed to an estimated 12,000 influenza deaths in the 2017-2018 flu season and impacts biologic adherence for 86% of patients. A new study out this month demonstrates a fast, inexpensive device that is widely used for IV access in hospitals may change that. Buzzy, manufactured by Pain Care Labs, is a vibrating ice pack used in over 5,000 hospitals and clinics to physically block the pain of blood draws. Last year, the company won the prestigious Frost & Sullivan "Local Pain Relief" technology leader award. 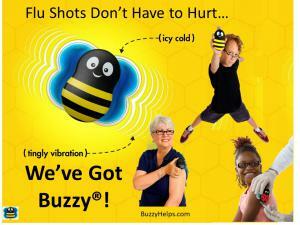 Initially intended for children, Buzzy has been proven equivalent to both the leading topical anesthetic and virtual reality. Buzzy is twice as effective as cold spray at stopping needle pain. A new adult study shows even greater promise for flu shots. In the largest Buzzy study to date, Redfern et al randomized 497 adult hospital workers to Buzzy or standard care at the employer-sponsored vaccine clinic. The study showed Buzzy significantly reduced the pain of the annual influenza vaccination. Significantly more participants in the Buzzy group rated the flu shot experience as better than previous years. Most importantly, the highest impact was for the most difficult to get vaccinated: the anxious adult. "As societal needle anxiety increases, our herd immunity depends on overcoming fear and getting vaccinated," said CEO Amy Baxter MD. "If reluctant patients know they can get a flu shot with a Buzzy, it can save lives." 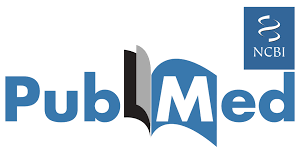 This new adult influenza vaccine study is the twenty-sixth independent randomized control trial using Buzzy to control needle pain, and reinforces earlier research in adults. A Target study found 23% of adults do not get their flu shot because of needle fear. In unpublished data from a national pharmacy chain, 84% of adults felt no pain when Buzzy was used with their flu shot, and nearly half (45%) said they would choose their flu shot pharmacy based on Buzzy. Multiple studies have shown Buzzy reduces the pain of needles as effectively as costly virtual reality or time-consuming creams. "As healthcare costs skyrocket and patients look for drug-free pain relief, it's exciting that such simple physiology provided a powerful solution for pain." The CDC recognizes influenza as a substantial burden on the health of people in the United States each year. While those health burdens may change each year, one recommendation remains constant: The first and most important step in preventing flu is to get a flu vaccine each year. For adults who might otherwise avoid the vaccine, Buzzy is proven to help.